The Compass is a simple but effective way to position your microphone accurately when recording. 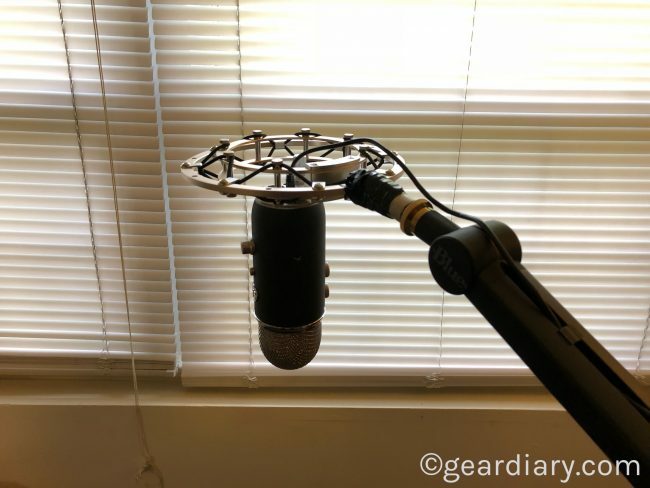 It is made from durable aluminum; it has a sleek design thanks to its internal springs, and it has a clean appearance thanks to hidden channel cable management and offers friction-hinges that a hand-tightened so your microphone (not included) will stay where you position it. 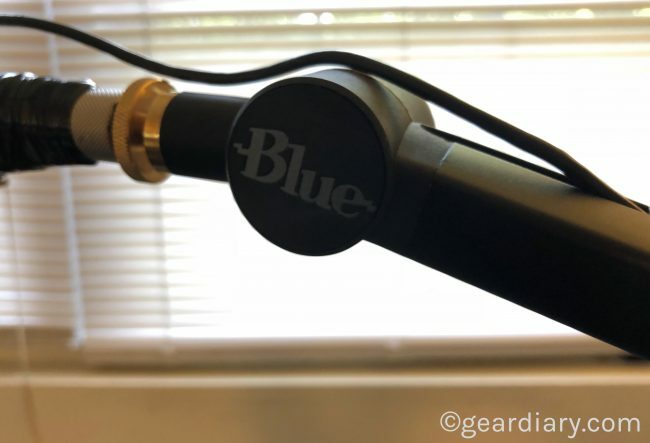 The Compass is designed for Blue’s amazing Yeti microphones but works with many others. 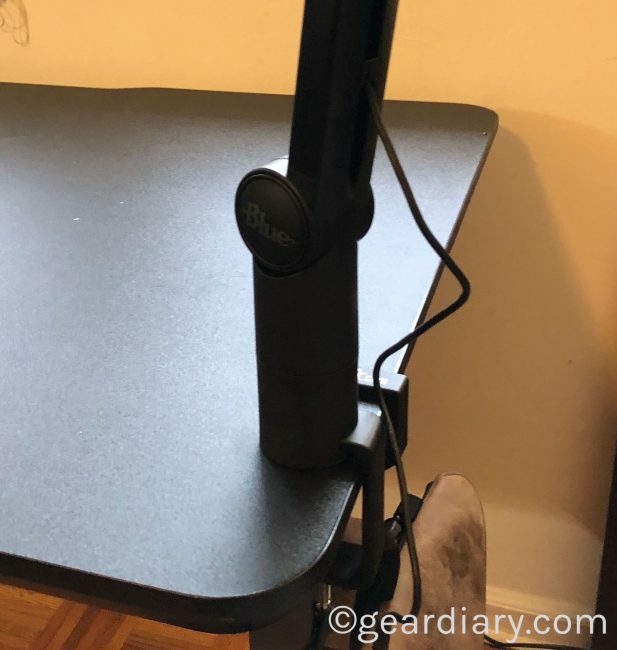 Also, it is compatible with an array of standard shock mounts so you can record your voice rather than the disturbances created when you place items on the surface to which it is attached. The Compass has impressed me. 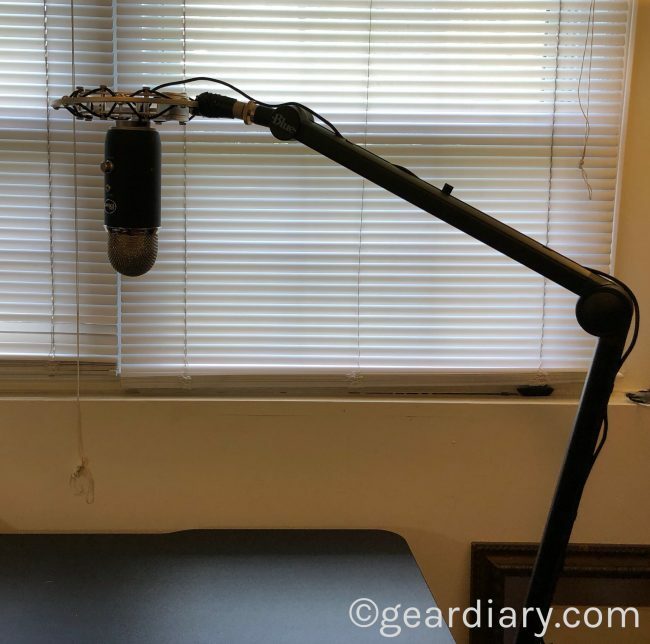 When I was doing a lot of YouTube videos on the site, I invested in a boom arm to hold my microphone in position. It worked but, to be honest, it not only looked terrible but it was also a bit flimsy. The Compass is pretty much the exact opposite yet, at under $100, isn’t significantly more than what I paid at the time. Inside the box, you get the Compass desktop boom arm, a C-clamp for desktop mounting, and 3/8” to 5/8” adapter so you can use a range of different microphones. The C-Clamp quickly and easily attaches to your desk and, if need be, can easily be loosened, moved and re-tightened. In other words, initial setup is simple. As mentioned, the boom itself is made from extruded aluminum and coated in a beautiful, durable black. When placed into the receiving portion of the C-clamp it offers a full 360 degrees of movement and has a maximum reach of 32”. That, of course, depends on the placement of the microphone. The two joints can be hand-tightened so you can keep the microphone in your preferred position. They can, however, easily be loosened so you can readjust the microphone. One of the small details that make this Compass stand out is the hidden-channel cable management built into the aluminum arms. A small channel runs along the center of the Compass, and there are little, black tabs at various points along the way. You merely place something small such as a paper clip under the tab and pull up to release them. 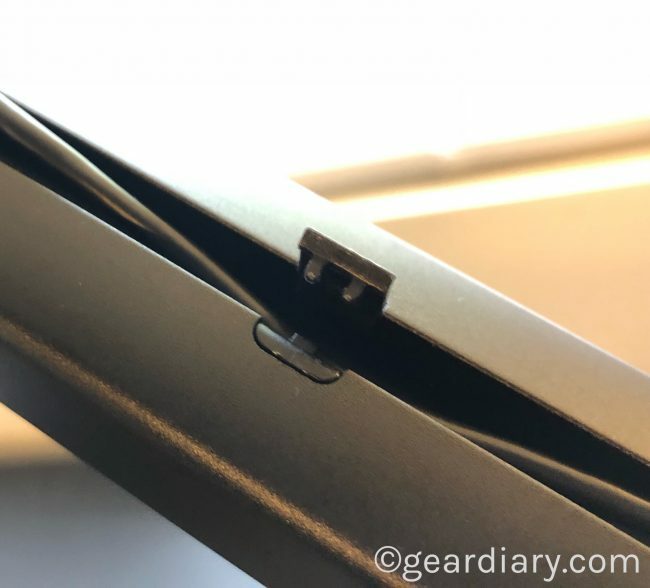 Then, once you have placed the microphone’s cable into the channel, you snap the black plastic tabs back into position to secure the wire in place. 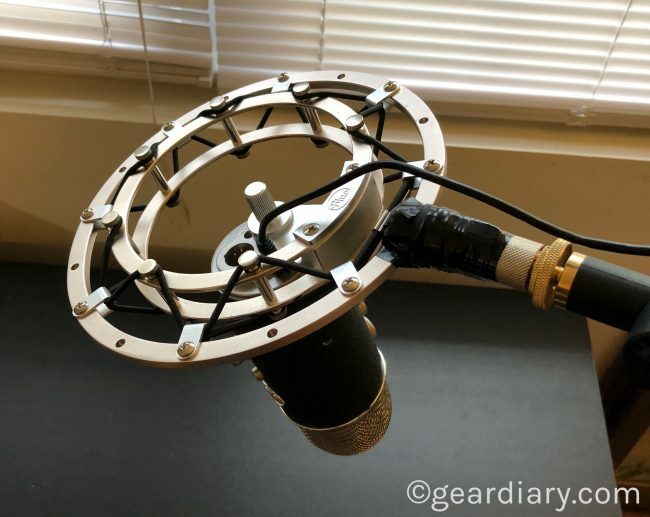 It is a simple, but ingenious, design that helps keep your podcasting or recording setup looking neat and tidy. Studio-Grade Design: Tired of squeaky, flimsy scissor booms? We are too! Compass features a broadcast studio-grade design with enclosed aluminum construction, internal springs, and hidden-channel cable management. All friction hinges are hand-tightening—no need for any tools—and a full 360-degree rotation means you’re covered for any application. 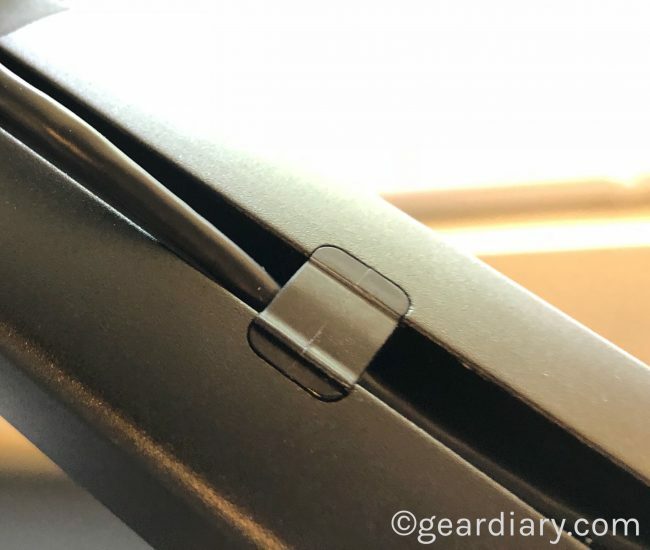 Effortless and quiet, Compass stays in place after being adjusted, and the robust C-clamp creates a stable connection with your desktop. 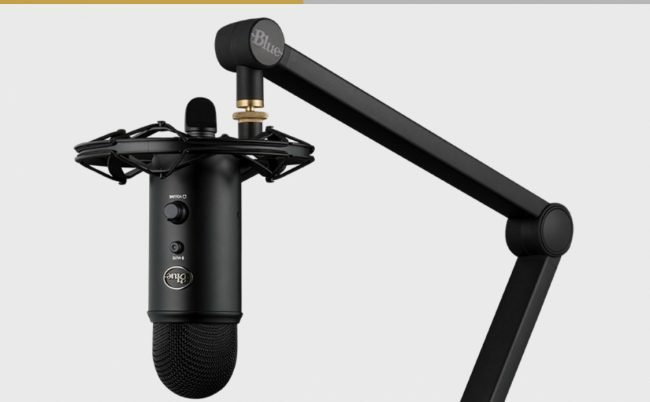 Pair Compass with Yeti and the Radius III shock mount for a professional broadcast setup. Game Streaming, Podcasting, and Broadcasting: Compass is your secret weapon for your Twitch game streams. 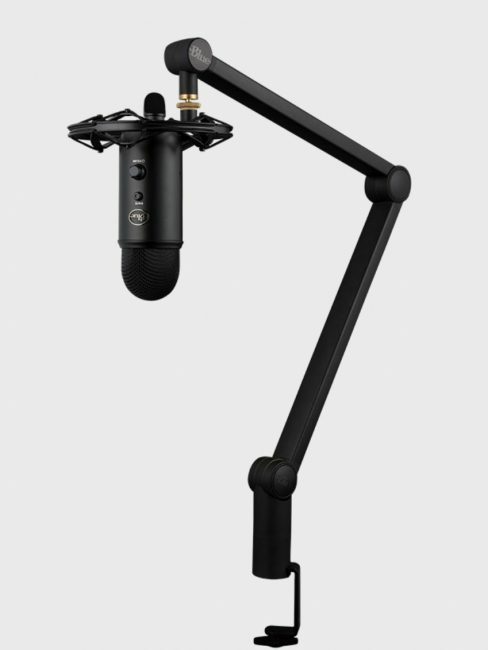 Being nimble and sleek, Compass lets you put your mic where you want it when you want it. Whether you adjust the boom to disappear on camera or feature it front and center with the mic, Compass fits perfectly into your game streaming or podcasting setup and will impress your audience. I set the Compass up with the Blue Yeti I reviewed some time ago. I also added the shock-mount I purchased sometime later. (As you can see, I broke the shock mount shortly after I received it. Thankfully, duct tape fixes everything.) 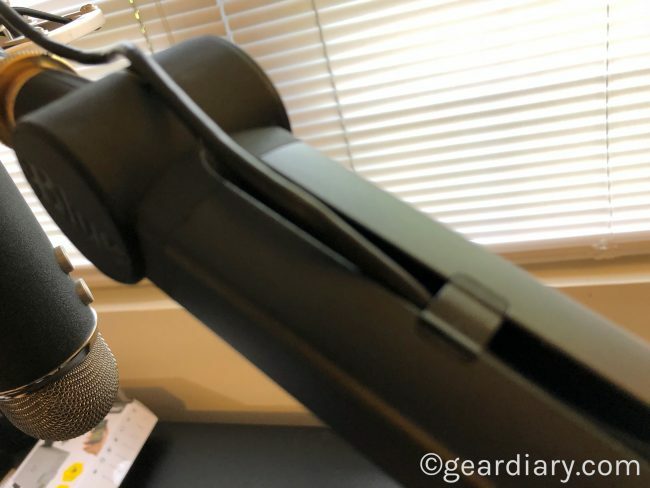 Within seconds I had a podcasting setup that looked clean, helps the microphone exactly where I wanted it and maintained a level of stability that assured I would get the best recording quality possible. All of that and the Blue Compass is only $99.99. Check it out here. What I Like: Easy setup; Stable and easily adjustable; Cable channel keeps things organized and neat; Works with a variety of microphones.